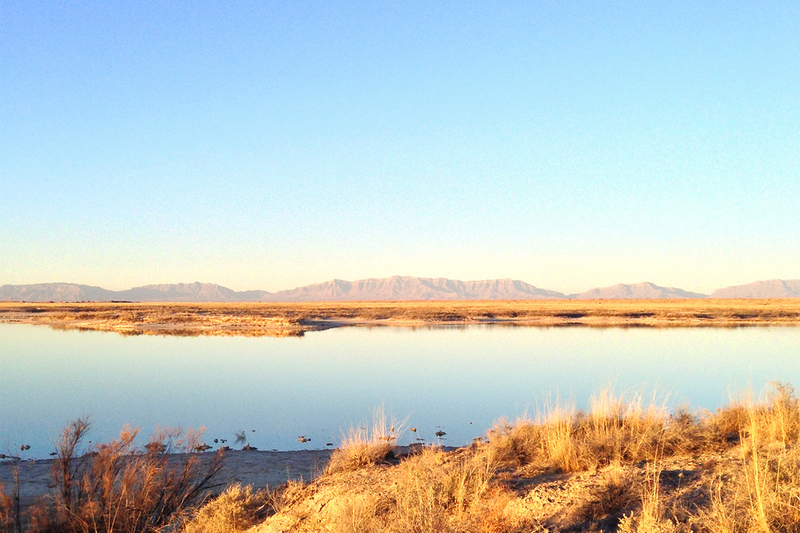 The one and only night we camped on our trip was by Lake Holloman in New Mexico. The campground is between an Air Force Base and a Missile Test Range. We arrived in the middle of the night and were kind of nervous about staying there. The signs leading up to it say things like “when lights are flashing the road is closed for missile testing” and “historical marker: first nuclear bomb test detonated here”. The only other person we saw the entire night was a grim border patrol agent. Eep. Seeing the lake in the morning made all the uneasiness worth it, though. Being completely enveloped in light was nice after all the grim grey snow storms we passed on the east coast.